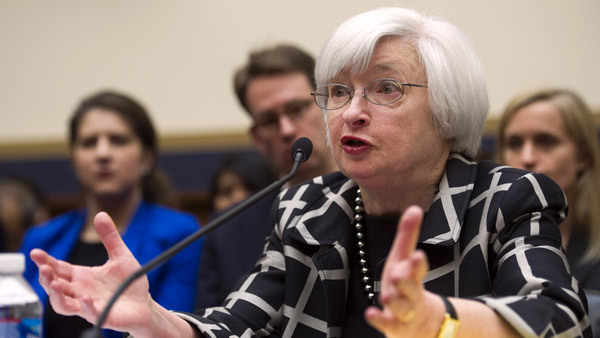 Does the Fed Have Street Cred? Merrill Lynch's answer may surprise investors and advisors who follow the mispricing of the Federal Reserve. The biggest challenge for the Federal Reserve over the next two years is “to manage market expectations for interest rates,” according to a report issued by Merrill Lynch on Thursday. “It is safe to say that many bond investors are confused and frustrated by the Fed communication,” it noted. What’s behind the confusion and what exactly is needed to guide the markets in a rising-rate environment after last summer’s tapering drama? The Merrill experts lay out exactly what happened and what needs to change. They also draw a clear conclusion on the level of clarity the Fed has been sharing of late, which should be good news for investors and advisors seeking less volatility in both the fixed-income and equity markets. In recent months, there’s been confusion around how to interpret the “dot plot,” which shows forecasts by various members of the Fed Open Market Committee of how high the federal funds rate will be at different times in the future, and whether there is a “six-month rule” for interest-rate hikes, the economists say. In contrast, Norway’s central bank, which has used forward guidance for a decade, employs a simple and transparent process. “With just seven members, the committee is small enough to be efficient and big enough to get a diversity of views,” the report explained. Indeed. The FOMC has 19 members and 11 regional presidents, including four voting positions that rotate each year. It also has 13 different research groups. “The official forecasts are not derived from a careful discussion with consistent assumptions, but are delivered by spreadsheet without a systematic discussion,” the economists explained. The group relied on different and inconsistent means of communication. “In our view, all of this means lots of head fakes for the markets and headaches for investors,” the Merrill analysts said. What makes for good guidance? Second, the conditionality of the guidance must be very clear and easily understood. Merrill Lynch economists using these standards conclude the Fed, in fact, has done a good job at guiding agents’ expectations. In general, the markets looked for rate hikes around the corner, sometimes three years too early. However, recent expectations have moved out beyond a year. The market is now pricing in about 100 basis points of rate hikes in the first year of tightening and less in the second year, the report states. “And yet in the past two cycles, a year and a half before the first rate hike, the markets were pricing in 140-150 bp in rate hikes in the first year of the tightening. As for the conditional nature of the Fed’s promises, the Fed seems to be succeeding on this measure as well. “In particular, the markets seem to have correctly interpreted the Fed’s unemployment rate thresholds,” the economists say.